Dear friends! The “Good humor” heading starts on our website. Let the good joke be a consolation and help to keep courage in any situation! Still, it’s not for nothing that we call animals brothers smaller. They do so often, even in unhappy moments, make us smile! The Russian commander Skobelev had a parrot for many years. And the tsar’s servant himself often and long earnestly prayed out loud. Once he was presented with a very expensive book on a military theme, and after another study, he left it open on the table and retired for some time. And when he returned, he almost fainted: the most precious military allowance of a foreign publication was ravaged and torn by a parrot, somehow got out of the cage! Half an hour later, from behind the closet, a pleading and repentant word was heard: “Lord, Jesus Christ! Have mercy on me, sinner! Lord Jesus Christ, have mercy on me, a sinner! ”This was said with the intonation of the general himself and lasted continuously for an hour! We are responsible for those we tame. And it’s now a law in Russia as Vladimir Putin put his signature under new legislation, which bans killing, pitting and other forms of mistreatment of animals. The Law on Responsible Treatment of Animals prohibits the killing of animals “under any pretext.” It also outlaws shooting or poisoning stray dogs and cats, which has been happening in many Russian cities in recent years. Homeless animals are to be captured, sterilized, vaccinated and released with a special microchip. Organizing animal fights and hounding beasts at other animals or people has also been made illegal. The law orders pets to be kept in proper conditions by their masters. It bans contact or petting zoos from being opened at the malls, which is a common thing across Russia, as well as hosting animals at bars and restaurants. In April, two bears escaped from a café and caused major havoc in Yaroslavl Region. One of the animals was captured, but the other went to the village and had to be shot dead. The law makes life harder for numerous semi-legal circuses across Russia, which often use dangerous wild animals in their shows. In October, Russia was shocked after a lioness attacked a four-year-old girl during a traveling circus performance in Krasnodar Region. The child survived but suffered lacerated wounds to the face and other injuries. The wild animals owned in violation of the law and without a proper license will from now be seized by the state. Hosting them at flats, residential homes and country houses has also been banned.The new legislation states that an animal can’t be simply thrown into the street, but “should be passed to a new owner or the shelter.” Camels, ostriches and other exotic creatures have been recently found in the wild in Russia after their disingenuous masters disposed of them. Dog owners will also face some restrictions as the law obliges them to walk their companions only in specially designated areas. It also allows punishing those, who refuse to pick up feces left by their pets in the street, with fines. The legislation, aimed at protecting animal rights, was first introduced to the parliament in 2010 and has taken almost eight years to be finalized by the lawmakers. The Most Rev. Kirill (Smirnov), Metropolitan of Kazan and Sviyazhsk, was sent to exile. He was thrown out of the train going at full speed during one of the nights. It was a snowy winter. Metropolitan Kirill fell into a huge pile of snow and didn’t get injured. It took him a long time to get out of that pile of snow but when he did, he discovered that he was in a dense snow-covered forest with no sight of human habitation for miles. He had no other option than trying to make his way in the snow for a long time. When he was finally too tired to keep trudging, he sat on a tree stub. Cold wind chilled him to the bone, cutting into his worn-out cassock. The Metropolitan felt that he was about to freeze to death, so he started reading prayers for holy death. All of a sudden, he noticed something enormously big coming at him. He realized that it was a bear. “It’s going to eat me,” the Metropolitan thought but he was unable to move, and after all, where could he run? The bear came closer, sniffed at the sitting man, and calmly lay by his feet. The huge bear’s body emanated heat and benevolence. The bear started to roll over and showed the Metropolitan its belly. Then the bear stretched out and started snoring out loud. The metropolitan hesitated, looking at the sleeping bear, but then, unable to tolerate the frost, he lay near the bear, close to its warm belly. The bear was breathing deeply, blowing hot air into the metropolitan’s face. At dawn, the metropolitan heard roosters at a distance. “There is a human habitation not far from here,” he thought and cautiously rose to his feet so as not to wake up the bear. However, the bear woke up, shook itself off, and ambled towards the woods struttingly. The refreshed metropolitan headed towards the rooster calls and soon reached a tiny hamlet. Here is an idea that you might find of interest and that would save many lives, both human and animal. A global “meat tax” could save 220,000 lives annually and cut health care bills by $41 billion each year, according to a new study. Health officials have also declared that unprocessed red meat like steak and burgers are “probably” carcinogenic. Other carcinogens such as cigarettes and alcohol are regulated in order to reduce cases of chronic disease…. 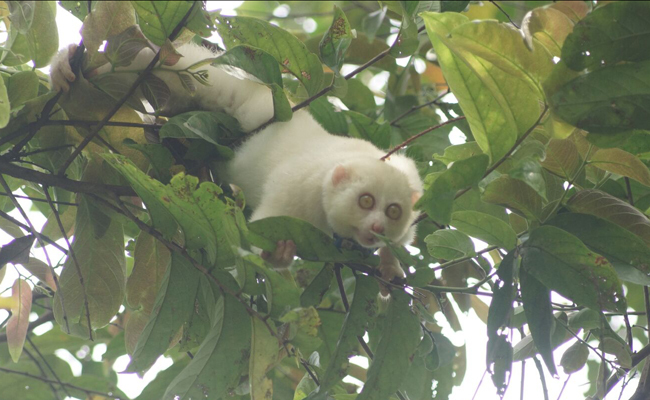 Albino Slow Loris rescued from illegal wildlife trade. This is a good news article from the Care2 team. Having lived in this area we know how common it is for Indonesians to have wild animals as pets and how prevalent the wildlife trade is as a source of income for many poor people. While animal advocates are working to raise awareness about how harmful keeping slow lorises as pets is and working to save those they can, they’re now celebrating one of the most unique cases yet – the rescue of the first known albino slow loris in the world.This slow loris had been taken from the wild and kept as a pet in Sumatra before being rescued this August by authorities. Since then, he has been getting the care he needs at the Natural Resources Conservation Centre in Bandar Lampung. After completing the rehabilitation process, his rescuers believe he’s ready to begin his journey back to the wild and have started the process by bringing him back to his natural habitat in the Bukit Barisan Selatan National Park. According to International Animal Rescue (IAR), which took part in the release, the area was chosen because it has plenty of food and its status as a conservation area will ensure protection from human activities. While the journey home has begun, this slow loris won’t be entirely on his own for a few more weeks. First he will spend some time getting adjusted in a habituation area before being fully set free, and he’ll also be radio collared and monitored to ensure he’s thriving on his own after he is released. Hopefully he will. The illegal wildlife trade is now threatening all species of slow loris throughout their range, which isn’t just harming individuals, it’s taking a toll on the environment. “Although this albino slow loris is extremely rare, it is still entitled to live freely in its natural habitat like other wildlife. The reintroduction of slow lorises into the wild can also provide benefits and carry out ecological functions in their natural habitat by controlling insects and pollinating plants,” said Teguh Ismail, Head of Lampung Region III Conservation Section BKSDA Bengkulu. As IAR has previously pointed out, these shy, nocturnal animals are easily stressed and endure a number of heartbreaking abuses as a result of the pet trade. After being torn from their homes, some lorises in captivity are fed inappropriate diets, and others have their teeth crudely clipped or broken off without anesthesia to make them defenseless, which often leads to infection and death, and also makes them ineligible for release even if they are rescued. “This is the first known albino loris in the world and therefore extremely rare. If it wasn’t for the incredible work of the authorities to combat illegal wildlife trade, this loris could easily have died in the hands of wildlife traffickers. Thankfully, we are able to give this animal another chance to live and thrive in the wild where it belongs,” said Karmele Llano Sanchez, Program Director of IAR Indonesia. IAR is currently working to rescue, rehabilitate and release as many slow lorises as they can, in addition to educating people about why slow lorises shouldn’t be kept as pets in an effort to stop the trade and keep them safe in the wild where they belong. 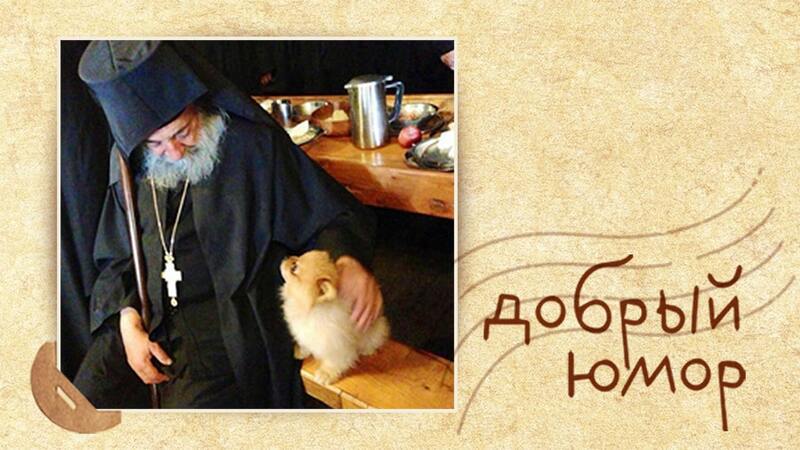 A Russian Orthodox Church in Lemeshovo, not far from Moscow, has promised to consecrate cats and dogs on International Homeless Animals Day this weekend, adding the furry creatures to its ever-expanding roster of blessed items. The church has performed religious rites over satellites and launch pads, a habit that inspired a dedicated Twitter account collecting photographs of Orthodox priests apparently blessing objects that include rifles, a crosswalk and computers. This Saturday, a church in Lemeshovo, a small town south of Moscow, said it will perform a prayer service for the International Homeless Animals Day. 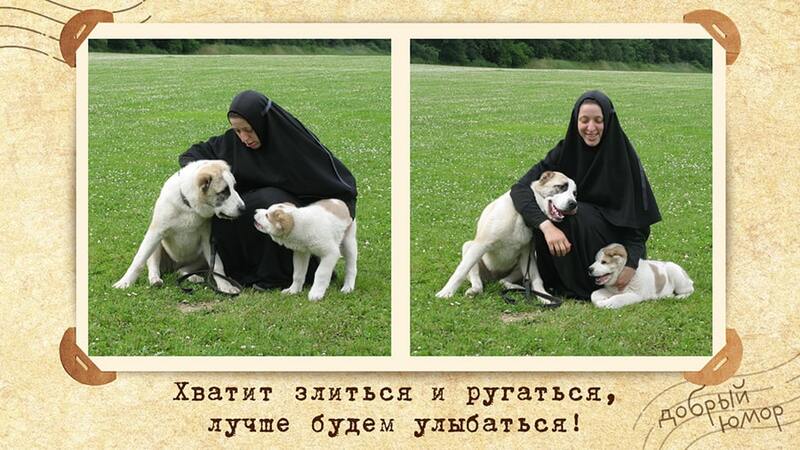 Pet owners will be invited to have their beloved animals sprinkled with holy water, Interfax reported Friday. “Each of us can now create a small ark to save God’s creatures,” said Pyotr Dynnikov, archpriest of the Iliynsky temple that will host the blessing ceremony. Dynnikov said the church will also say a prayer for those who provide shelter to homeless animals. The church’s website lists an evening vigil starting at 5 p.m. this Saturday. The International Society for Animal Rights said international animal observance days have been held in 50 countries and on 6 continents since International Homeless Animals’ Day began in 1992. This information was sent to us from our friend James Hogan. This mini-post from The Times, highlights the fact that research is beginning to prove that TB can be spread in the countryside by hunting dogs. Almost 100 foxhounds were put down after an outbreak of bovine tuberculosis swept through their dirty, overcrowded and dilapidated hunt kennels. A kennel worker tested positive for the disease after the outbreak at the Kimblewick Hunt’s headquarters near Aylesbury, Buckinghamshire, an investigation has found. Researchers from the University of Edinburgh said that the risk of transmission from dogs to humans was “plausible and real”. Their findings will raise fears that hounds can spread TB to other animals, which farmers have called “the greatest threat” to the dairy industry. The first infected dog was found in December 2016 and a further 96 of the hunt’s 164 dogs tested positive and had to be destroyed. Special thanks to Fred for sending through this video and notes on how wolves shape the land, even changing the course of streams and rivers. See this story of the impact of wolves in Yellowstone National Park. But this is just the beginning of the story. What biologists noted were a whole cascade of changes. Even the fishing got a lot better – because the elk stayed out of the stream beds, willows grew up alongside the streams, more cover and shade was provided, more insects fell into the stream, therefore a lot more food was available and the trout grew a lot bigger and faster. See the video and link to it below. Fr. 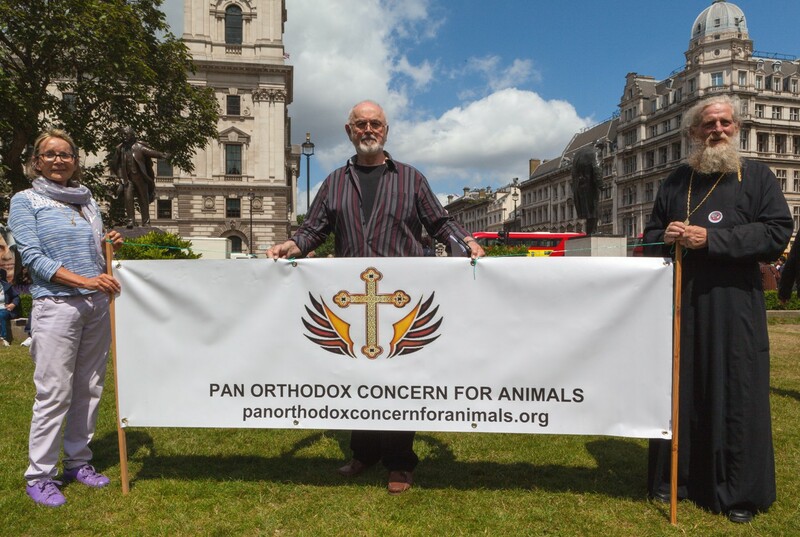 Simon, Dr. Christina with famous actor Peter Egan, in Parliament Square, 14th June 2018. We have decided to attend rallies such as this one, against the live transportation of animals, in order to be a silent witness to God’s displeasure at the suffering of animals. Many people came to ask us about the this new Eastern Orthodox charity and the Eastern Orthodox Church. We were able to be a witness to both. Peter was at the rally and came over to show his support. Natalia Doran was also in attendance and we thank her this photograph.